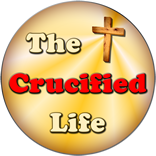 HomeThe Crucified Life Ministries BlogAre You a Naysayer? Thomas is the infamous “doubting disciple.” He refused to believe about the resurrection of Jesus Christ. Thomas could not believe it until he could see Jesus AND touch Him with his own eyes and hands. Thomas could not place any faith in the wondrous events as other disciples recounted about to him. 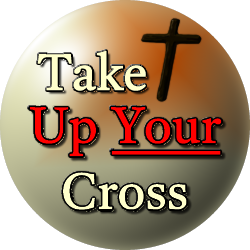 Thomas, the doubting disciple, lived in the time when it was possible to witness the risen Jesus Christ. He was able to see him with his own eyes and place his hand against His physically wounded side. He could touch the print the nails had left in His hands and feet. Thomas was able to believe stemming from a personal experience of actually seeing and touching the physical body of Jesus Christ. There are many pessimistic people or “doubting Thomas’s” today busy looking for signs and wonders. Some will only muster up faith after seeing a form of Jesus Christ in the clouds. Or in finding an object like the shroud of Turin. Or seeing an image of Him shrouded in a painting. These extra-biblical events are not worthy of placing any ounce of faith in. They are false signs and wonders, not of God, but originate from the god of this world. They work to seduce men into false beliefs rather than placing faith in the one true God (Matthew 24:24). The Bible tells us that we live in a time where man can trust in God through faith placed in the finished work of His Son on Calvary. Man can get to know Him more through creation and nature and most intimately through reading and studying His Word.